Over the past few months we’ve been in discussions with Airbnb on a formal partnership agreement that will bring our companies closer together and allow a deeper integration between our two products. 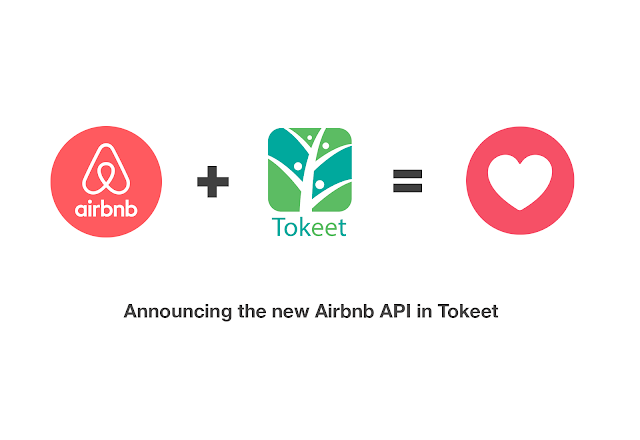 These discussions started in February and now, after 5 months of development, we’re happy to announce that Tokeet is an official partner of Airbnb. Even more exciting, we’re also officially announcing the release of a new Airbnb integration in Tokeet. This integration, which has been in beta for the past week, is faster, more powerful, and vastly more reliable than the previous Airbnb connection. I understand that many of you have been affected by recent and frequent outages relating to the previous API connection with Airbnb, for this I sincerely apologize. During these outages we’ve been feverishly working with the Airbnb engineering and partnerships teams on a new integration with the sole purpose of improving the experience for you, our users. Today that new integration is available to you in your Tokeet account. We plan for every customer to eventually move over to the new API and will ultimately discontinue the previous API connection. If you’ve ever had any issues with your Airbnb API connection then I recommend you make the switch immediately. It will only take a few minutes and instructions for switching are below. We have more exciting announcements to make in the near future, but that’s all for now. Thank you for being a Tokeet user. Tokeet's new Airbnb API connection is live. This is a faster, and more reliable connection between Airbnb and Tokeet. Please follow the steps below to migrate your Airbnb accounts to the new API. First disconnect the Airbnb API (OLD) accounts following the steps in this guide. Then reconnect with Airbnb API (NEW). Please let us know if you require further assistance. We're happy to help.